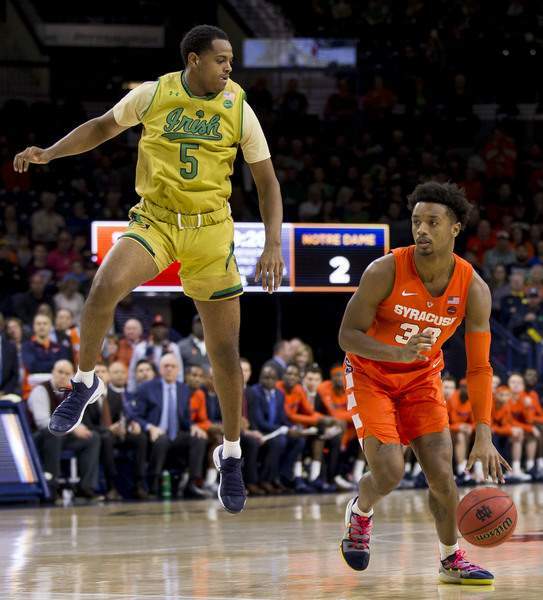 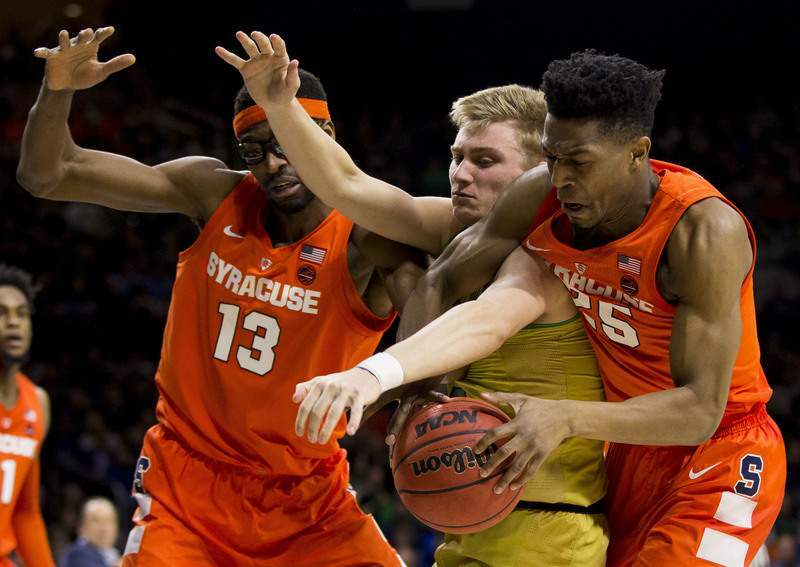 SOUTH BEND — Redshirt junior guard Elijah Hughes erupted for career highs of 22 points and 10 rebounds as Syracuse dominated down the stretch during a 72-62 victory over Notre Dame on Saturday. 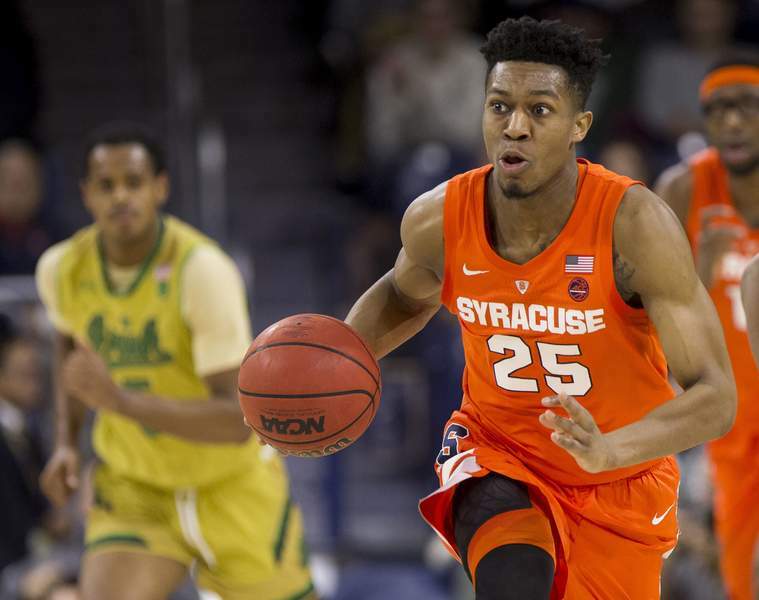 Oshae Brissett added 19 points and 11 boards, and Tyus Battle scored 17 points as the Orange (10-4, 1-0) won their Atlantic Coast Conference opener. 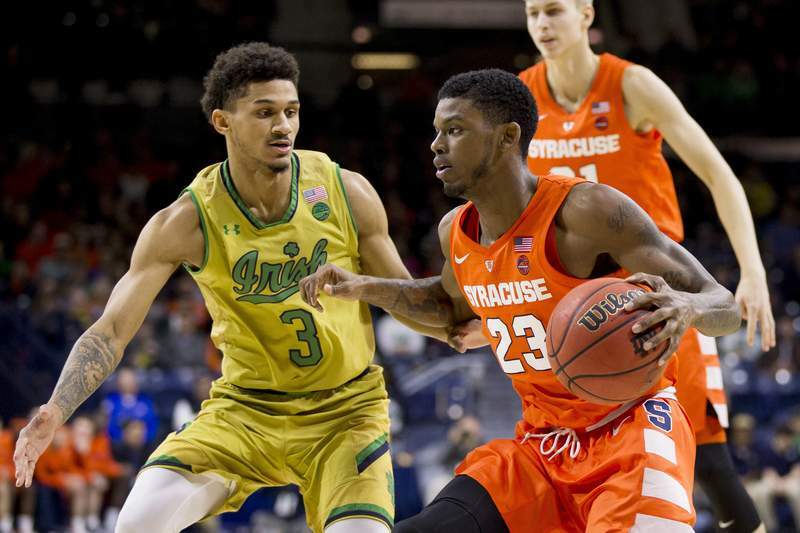 Hughes hit 6 of 13 on 3-pointers. 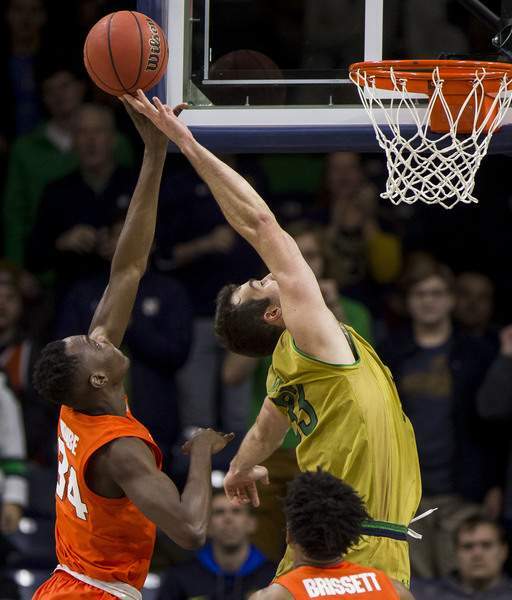 His previous high for triples was four. 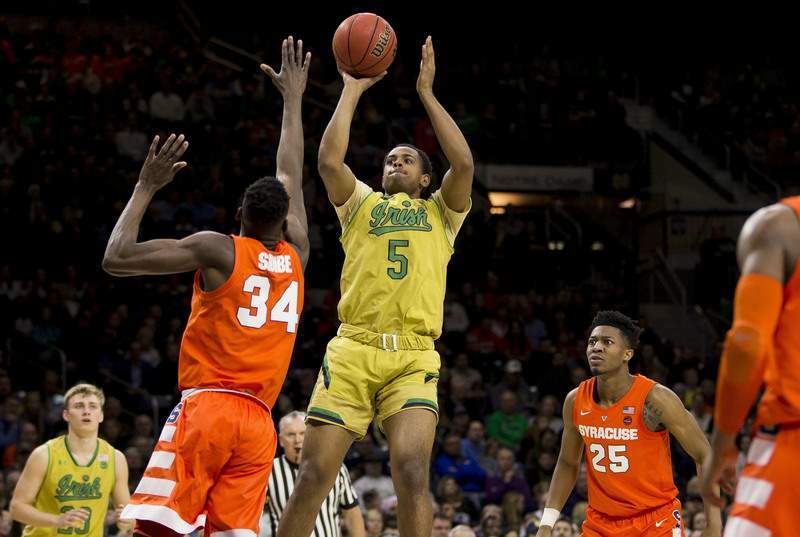 T.J. Gibbs netted 18 points, dished five assists and sank a career-best six 3-pointers in 13 tries for the Fighting Irish (10-5, 0-2). 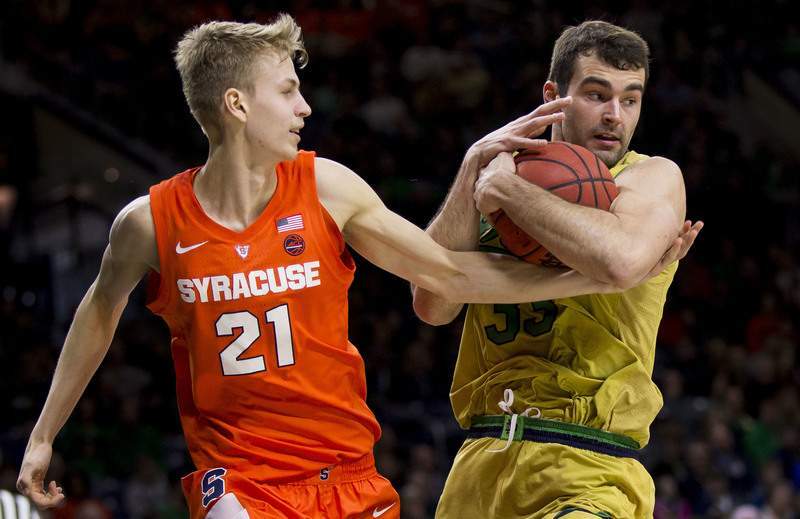 John Mooney chipped in his seventh double-double with 14 points and a game-high 14 rebounds. 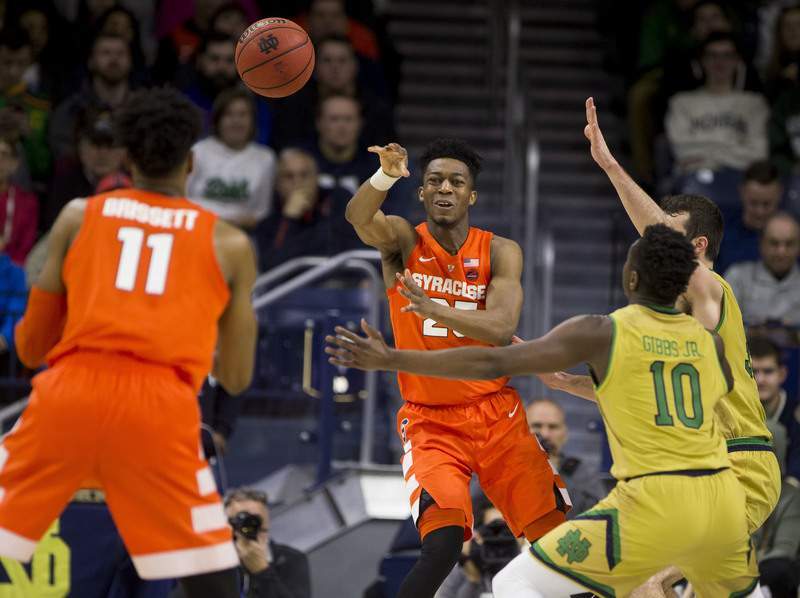 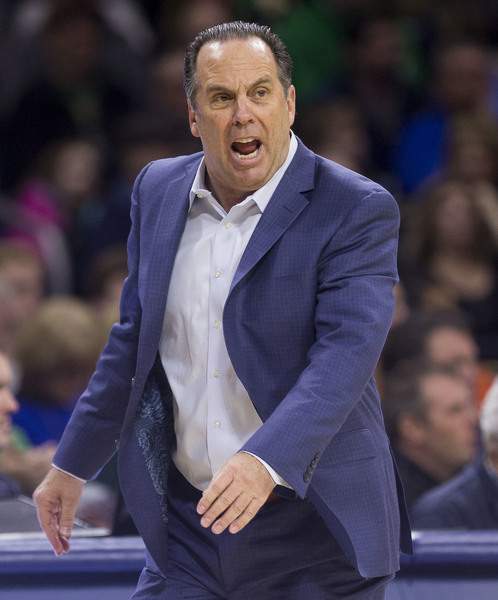 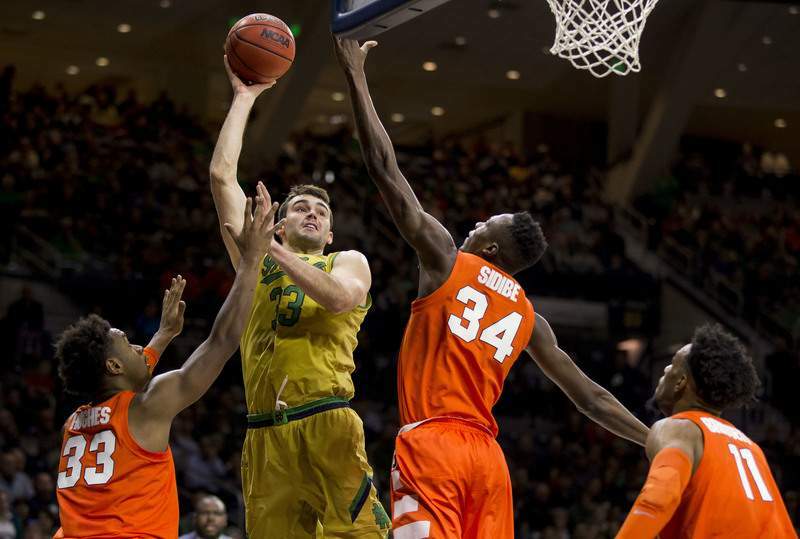 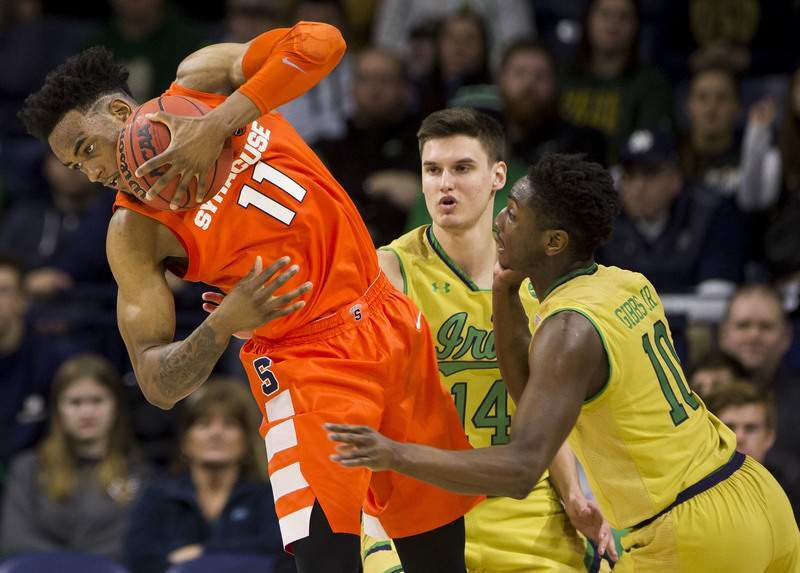 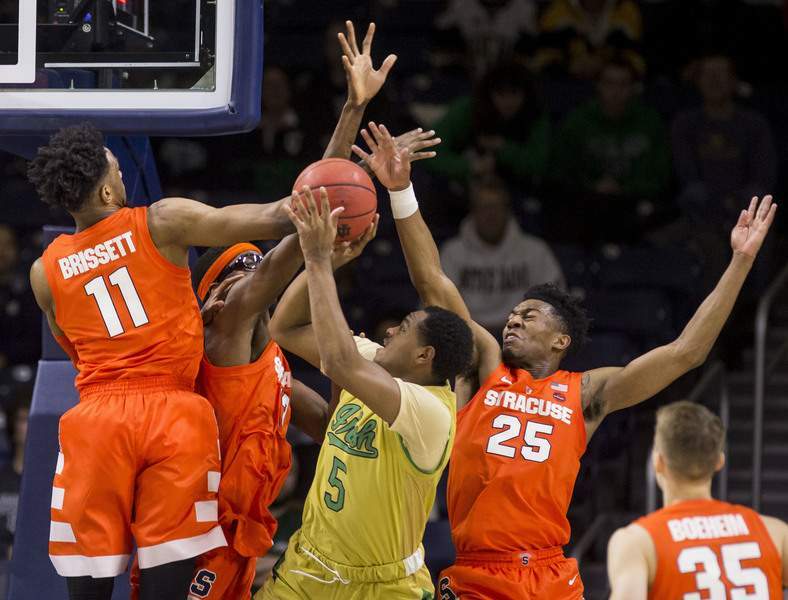 Syracuse, unfazed by playing just its second true road game of the season, outscored Notre Dame 10-1 late to turn a 60-58 lead at 6:19 into a 70-59 spread with under one minute remaining. 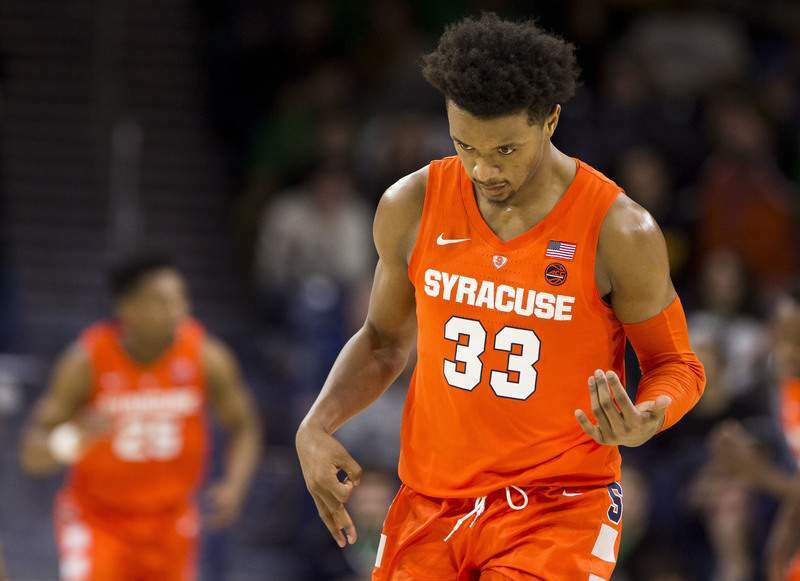 Syracuse: The Orange have won three straight, and with their next two games at home, have a chance to build momentum toward their next matchup against a ranked team. 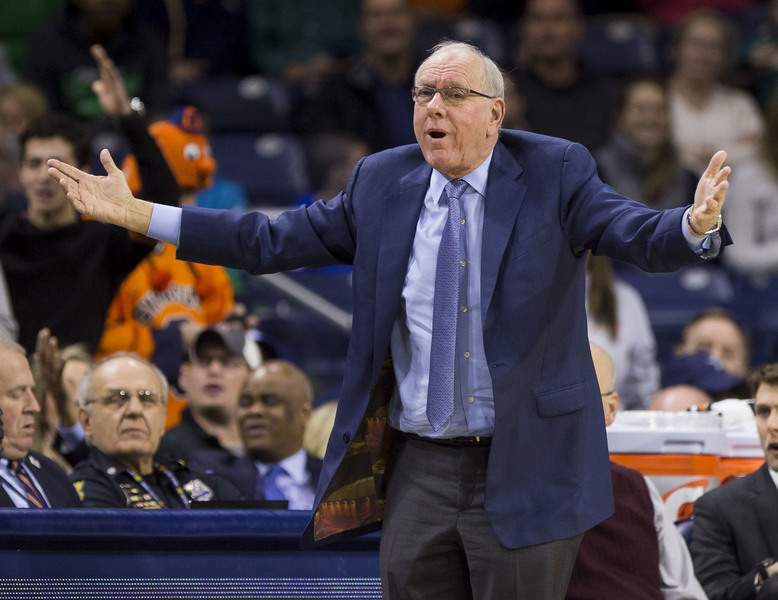 They haven't played one since falling 71-59 to visiting Buffalo on Dec. 18 and won't face another until heading to No. 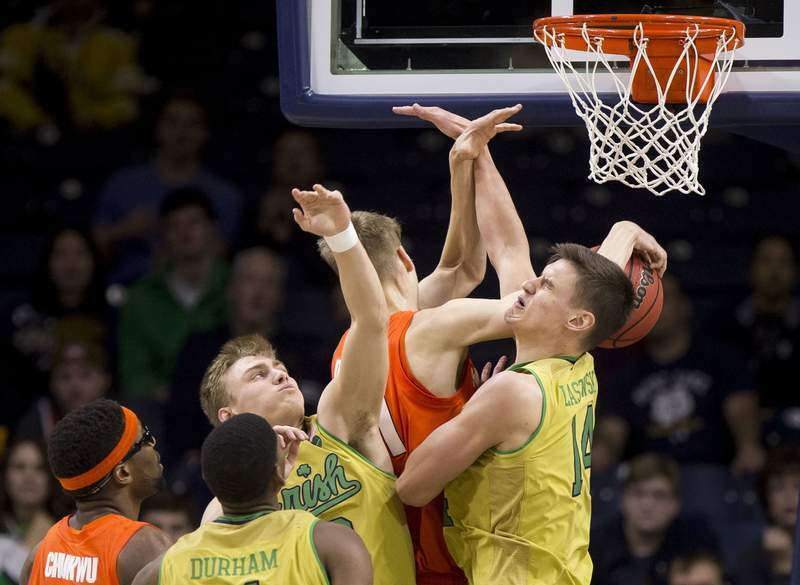 1 Duke on Jan. 14.